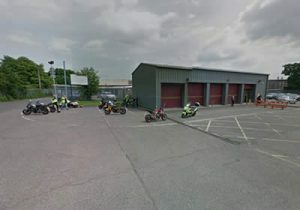 Provided are the address location, type of motorcycle tests provided and other facilities for motorcycle riding test centres in Surrey. Within the Surrey area is a single practical riding test centre in Mitcham. This riding test centre provides both Module 1 and Module 2 practical tests. Tests are conducted only at DVSA (Driver and Vehicle Standards Agency) practical riding test centres, which are detailed below along with the various candidate facilities they offer. Official Motorcycle test routes are provided on the Motorcycle Test Tips website. Learning the riding test routes for your Module 2 isn’t essential, though it often benefits test candidates by allowing them an understanding of the types of roads they can expect.